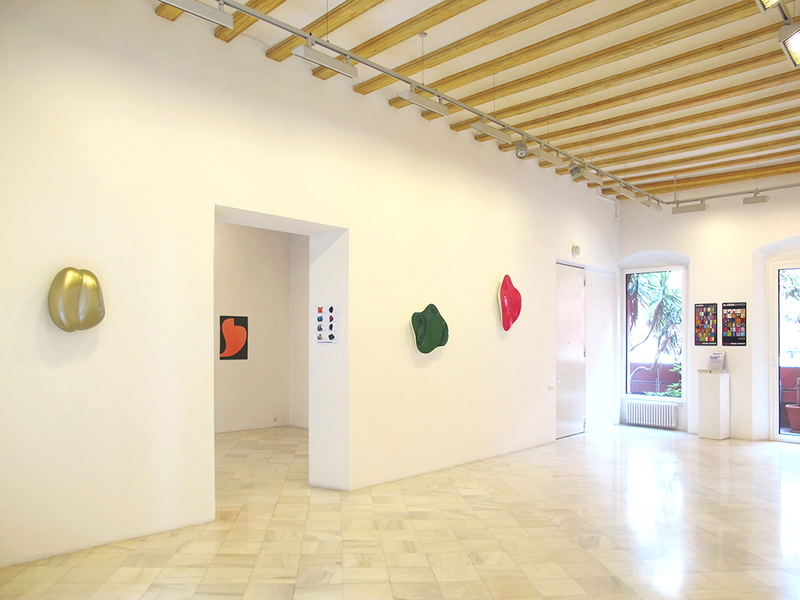 Miguel Marcos Gallery presents “Coro”, an exhibition that collects, for the second time in Barcelona, the artwork of the American artist Bill Thompson. In this occasion, the exhibition shows almost twenty sculptures and paintings carefully selected of his later years. Bill Thompson’s work (Ipswich, Massachussets, 1957) begins with the idea of monochrome. According to him, the monochrome is a conclusion and a starting point in which he disarms himself, but inspired at the same time, for its purity and endless possibilities. Its minimalist language is articulated from polyurethane objects that claim colors sometimes camouflaged in a chaotic and discolored world. For this reason, the artistic proposal of this American creator seeks the aesthetic pleasure. In this exhibition, we infer a musical influence in his artistic gesture. 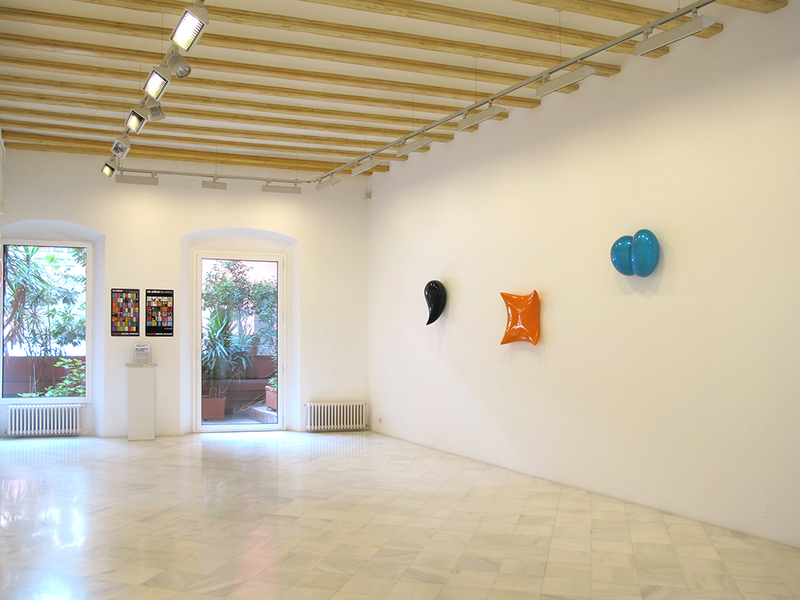 While in the first room of the Gallery the three-dimensional pieces are placed on the wall as musical notes that float on a imaginary pentagram, in the second room we can see bidimensional partial views of these pieces. And these notes-sculptures, like the chorus’s voices, talk to each other in perfect harmony to create a measured music without grammatical mistakes. In this act of de-configuration and re-configuration, sculpture becomes sound, painting becomes sculpture and music becomes physical in order to subvert the limits that usually separate them. Due to the versatility of the way he uses these artistic languages, the Gallery becomes an auditorium that, in silent, brings together sopranos, tenors and painters. Thus, the viewer sees and hears the music of a painting that appears in a sculptural code. A glossy painting/object with recognizable shapes but, at the same time, extremely difficult to describe. These forms are concave and convex volumes that draw bright and vibrant surfaces. Surfaces that absorb reflections around them in which the viewer is enchanted by the power, almost hypnotic, of the contemplation of beauty in its purest state. Bill Thompson. Lives and works in Boston. 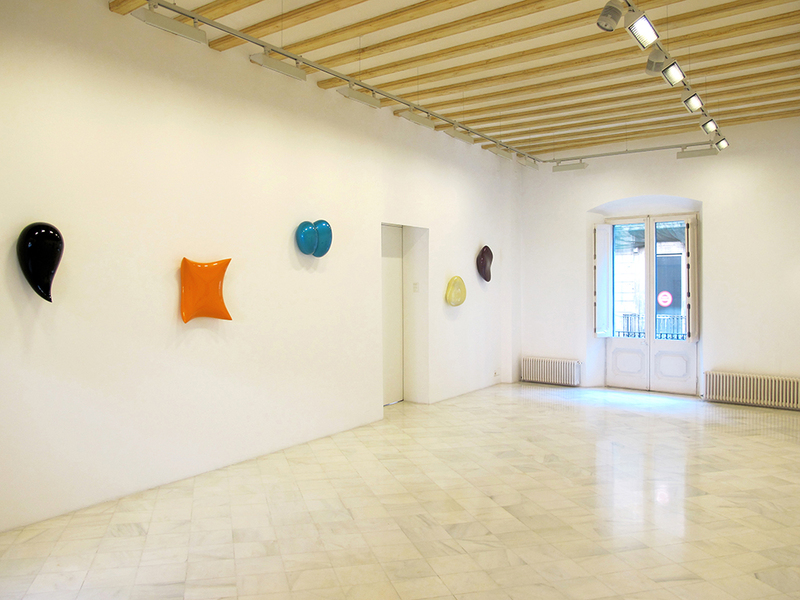 In its early years, he is presented as a minimalist painter but in the last decade he works mainly as a sculptor. 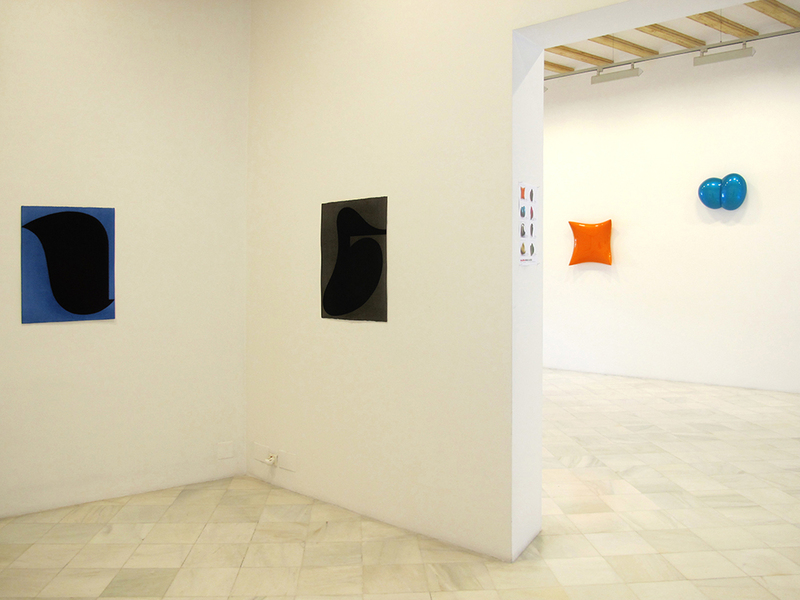 In his artistic practice, Thompson inquires about the study and application of color in different shapes and sizes. 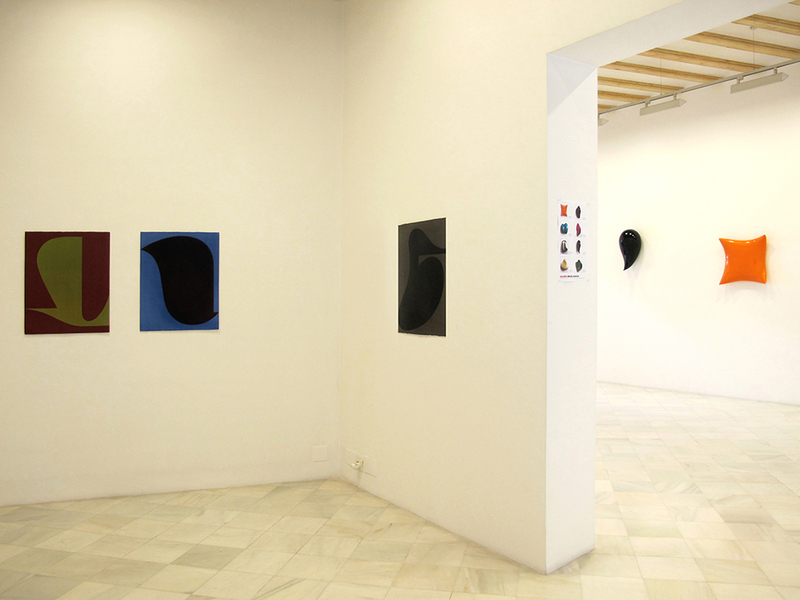 He has had solo exhibitions in the main capitals of the United States, including New York, Boston or San Francisco, and in important cities in Europe, Asia or Oceania as Munich, Seoul and Sydney. He has participated in more than thirty publications around the world and his work is part of a large number of collections, for example the Hyundai Corporation in Seoul (Korea), the List Visual Art Center, MIT (Cambridge), the Museum of Fine Arts in Boston and the Butler Institute of American Art in Youngstown.